Erik Cavallari as Romeo and Sophie Martin as Juliet in Krzysztof Pastor’s Romeo & Juliet. Photo by Christina Riley. Sophie Martin as Juliet with Lewis Landini as Friar Lawrence and Eve Mutso as Lady Capulet in Krzysztof Pastor’s Romeo & Juliet. Photo by Andy Ross. Mercutio’s famous speech about the antics of the fairy Queen Mab couldn’t be more apt to describe the mesmerising effect of Scottish Ballet’s breathtakingly beautiful performance of Romeo and Juliet on the audience. Queen Mab herself might have orchestrated my evening last Wednesday, as it couldn’t have been dreamier or more different from my average mid-week activity. First, I got to meet two real life ballerinas, before I was whisked off to see the national dance company’s spectacular rendition of Krzysztof Pastor’s Romeo & Juliet. Safe to say, it was one of the most memorable evenings I’ve had in some time. 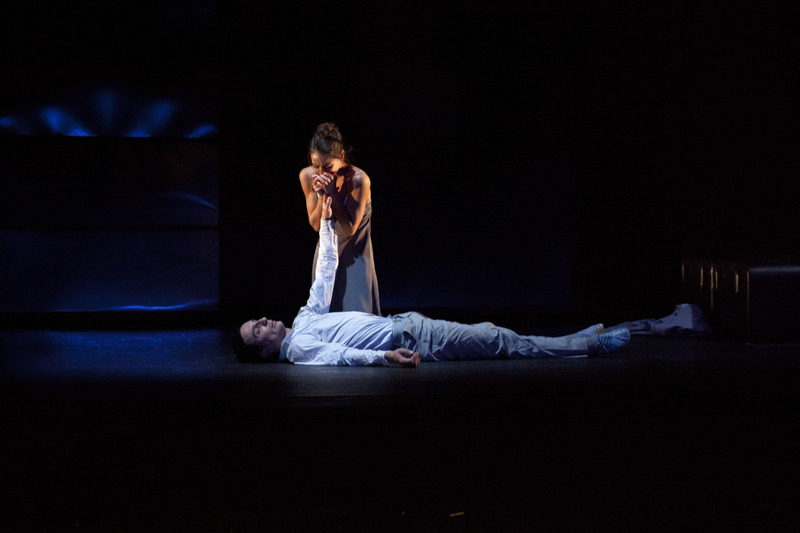 Sophie Martin as Juliet, Erik Cavallari as Romeo and Company dancers as Montagues and Capulets in Krzysztof Pastor’s Romeo & Juliet. Photo by Andy Ross. (Front) Laura Joffre, Bethany Kingsley-Garner and Luciana Ravizzi with the Company in Krzysztof Pastor’s Romeo & Juliet. Photo by Christina Riley. Resisting the urge to don tutu and ballet pumps, I practically skipped to the Festival Theatre where I was lucky enough to meet two of Scottish Ballet’s talented cast: soloist Bethany Kingsley-Garner and principal ballerina Claire Robertson. They were so lovely and down to earth and it was a real pleasure to hear their dancing wisdom: how they first got into ballet, their pre-show rituals, and the way in which those beautiful costumes work (‘bum glue’ may have been mentioned). 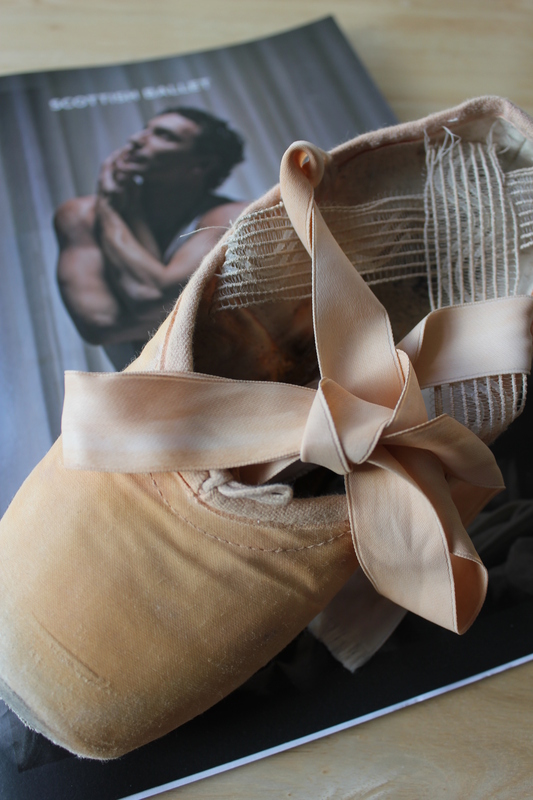 I found it fascinating and Bethany even brought along some of her old ballet shoes for us – I got to keep one, splitting a pair with the lovely Kirsty! Sophie Martin as Juliet with Luciana Ravizzi and Bethany Kingsley-Garner as Juliet’s Friends in Krzysztof Pastor’s Romeo & Juliet. Photo by Christina Riley. Sophie Martin as Juliet in Krzysztof Pastor’s Romeo & Juliet. Photo by Christina Riley. Even more excited than I was before, we made our way to our (amazing) seats and soon the curtain went up. I’m no dance expert, but the choreography was sublime from start to finish. The characterisation was particularly memorable, especially Juliet who really shone out for me – the audience couldn’t take its eyes off her. The emotion on stage was tangible, the palpable love (and hate) married with the music and movement with believeable and moving intensity. The climax of the play was pure drama and emotion – let’s just say I had tears in my eyes long before the final scene. There were moments of humour too; Victor Zorallo’s Mercutio added light relief with his comic timing and expressive movement. Eve Mutso as Lady Capulet and Owen Thorne as Lord Capulet after the killing of Mercutio and Tybalt in Krzysztof Pastor’s Romeo & Juliet. Photo by Andy Ross. Erik Cavallari as Romeo and Sophie Martin as Juliet in Krzysztof Pastor’s Romeo & Juliet. Photo by Andy Ross. I adored the costumes and set, both of which were both Art Deco inspired. The ensembles for Juliet and her friends were beautifully feminine, Juliet wearing pastel-hued silky slip dresses, while her companions donned navy Peter Pan collar tops with cream box pleat skirts. The gowns from the ball scene were just stunning – long, flowing velvet echoing the movement of the dancers. 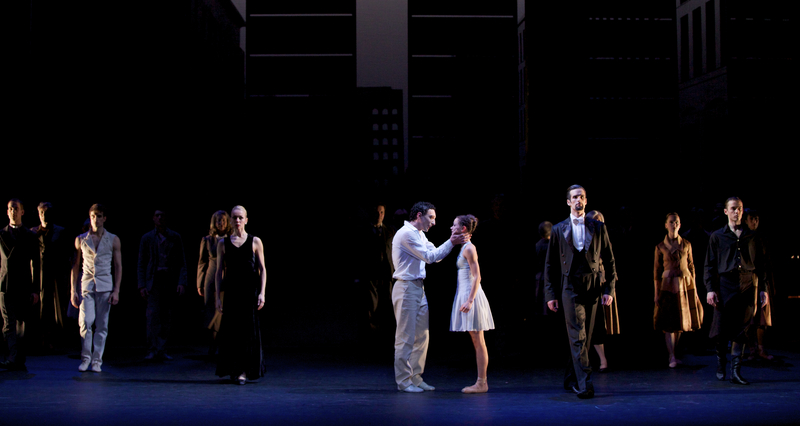 The choreography combined traditional ballet with contemporary elements, exquisitely delivered by the talented cast. 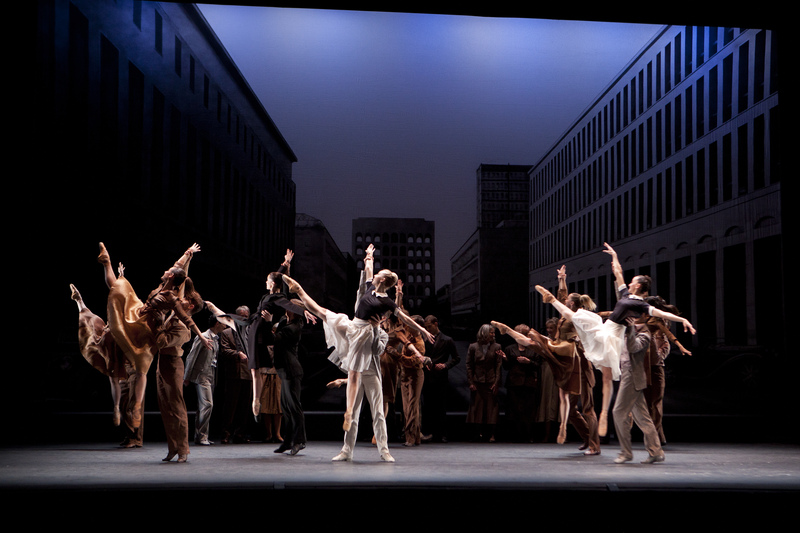 The combined effect of set, costume and choreography relocated the tale firmly in the twentieth century, as the story unfolded against the backdrop of a bustling 1930s Italy. 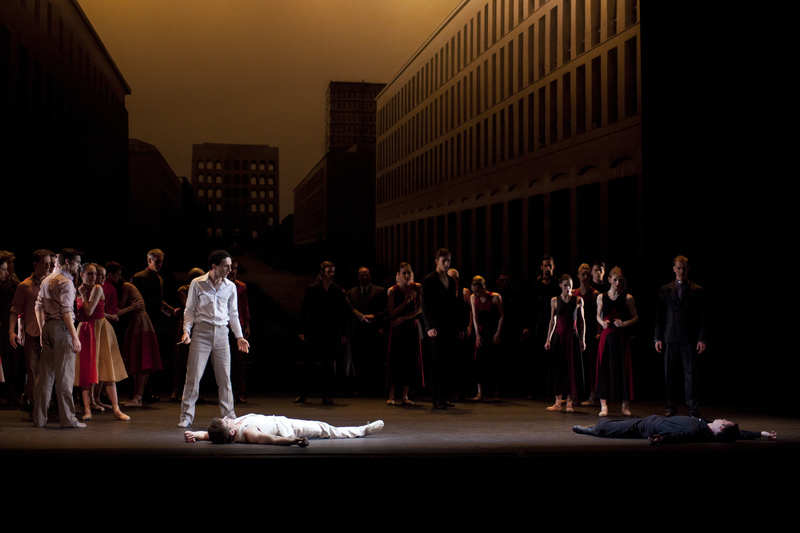 Erik Cavallari as Romeo, Victor Zarallo as Mercutio and Christopher Harrison as Tybalt with the Company after the fatal fight in Krzysztof Pastor’s Romeo & Juliet. Photo by Christina Riley. Sophie Martin as Juliet and Erik Cavallari as Romeo in Krzysztof Pastor’s Romeo & Juliet. Photo by Christina Riley. Setting the family feud in the context of rising Fascism gave the fate of the star-crossed lovers an even more sinister dimension and definitely gave food for thought beyond the sheer beauty of the dance and expressiveness of the movement. It’s funny how seeing something so familiar in both a different medium and setting can make you see a well-known tale in a completely different light. Sadly Romeo & Juliet has finished its tour now but I would thoroughly recommend a trip to one of Scottish Ballet’s upcoming productions – details here. Scottish Ballet invited me to the ballet for the purposes of review, but I never share anything here that I wouldn’t recommend to a friend! Images courtesy of Scottish Ballet, except for the top one taken by me!